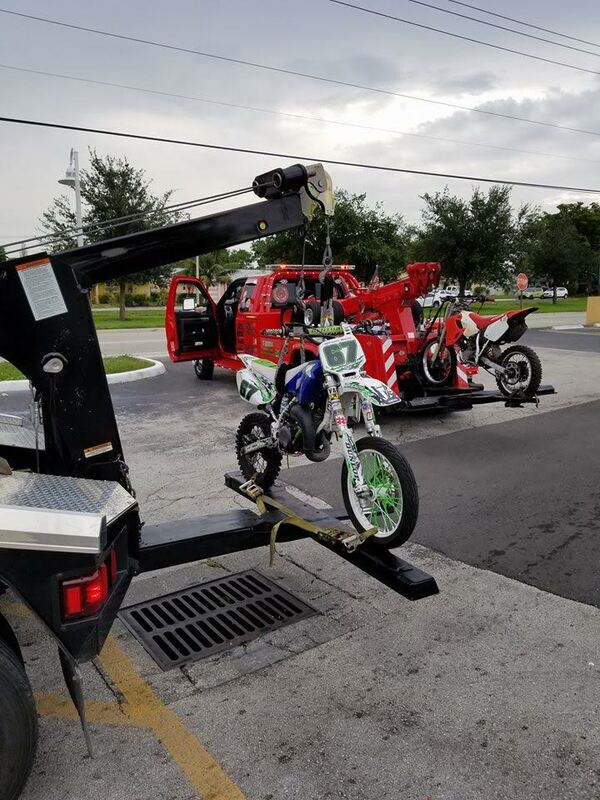 WestWay has a world of experience when it comes to towing a motorcycle. 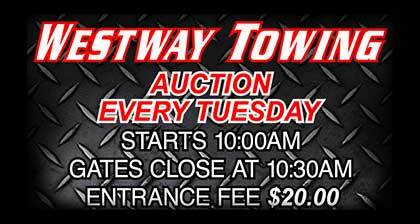 Whether your ride is a Harley or a Honda, a Triumph or a BMW, a Kawasaki or a Yamaha, WestWay has you covered. 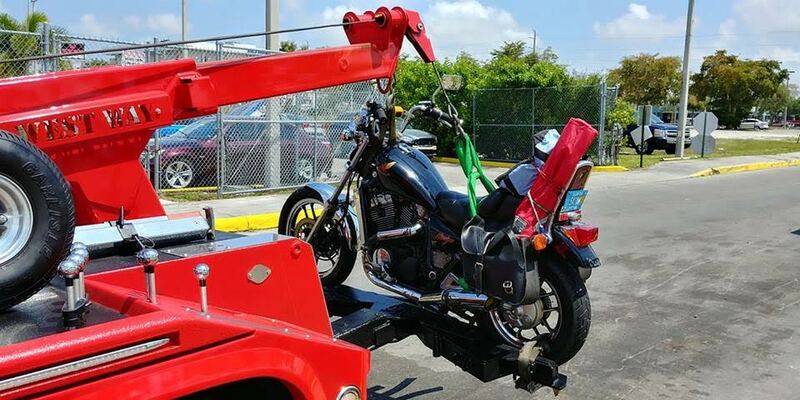 Our fleet of flatbed and wheel-lift tow trucks are equipped to handle any motorcycle towing need. WestWay’s highly trained drivers will take great care of your ride as we know your motorcycle is an extension of you. We will secure it firmly using only the highest quality straps and fastener and then transport it to the location of your choosing. Our professional approach is one less thing you will need to worry about when driving throughout the great state of Florida.